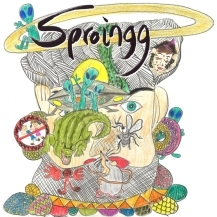 Sproingg are a German-American trio of accomplished musicians with a five-year history. New York drummer Erik Feder studied with some top drummers, for example, Kenwood Dennard (Brand X). Guitarist, Prudi Bruschgo, played in a Jazzcore band whose tours went as far as Russia. Classically trained Johannes Korn on violin and “faking it” (yeah, right) on Chapman Stick, used to play in orchestras until he discovered punk. “Improvisation is essential to our music, all our songs come from improvisations, and may change every time we play them. The length, the tempo, and the overall direction can change depending on the mood of the moment”. This shows in the album. It possesses a varied, live-sound. 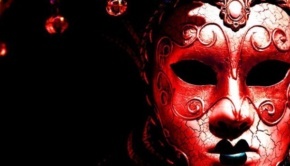 The classical and jazz rock influences are manifest in groovy, avant-garde instrumentals and free-spirited licks, occasionally punctuated with funky slap Stick. This has very much a “schnell, drück die aufnahmetaste” vibe. Sproingg have ambitions toward a second album. Encourage them by buying this one! Go on – I dare you! David Kollar is a fiercely innovative Slovakian guitarist who wrestles extraordinary noises out of his guitar, and has played with Steven Wilson and Pat Mastelotto among others. Norwegian Arve Henriksen is an elegaic trumpet player with a long history in Scandinavian jazz and electronica whose albums draw deep from a spiritual well. 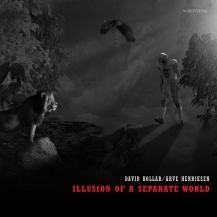 Combine the two and the results are quite the ticket for a meditative stoll through one’s tangled mental thickets. Kollar’s guitar is necessarily restrained, occasionally sparklling, and Arve’s trumpet rises to the occasion, all melded together in washes of calming electronice. The album takes in ambience, soundtrack music, post-rock, all under the spirit of anything goes. It’s really rather ace. Fresh, vibrant and as welcome as cooling drink on a hot sunny day are this delightful instrumental quartet from the Philippines capital, Manila. Music that refreshes the parts that not even a world renowned beer can reach. Beckoning you in are the two guitarists, who weave an airy, intricate mesh of interlocking patterns before being firmly secured into place by the tantalising rhythm section. Beware the casual listener, that you don’t simply dismiss this as a sweet elixir, as you may well miss the numerous layers that make up this heady concoction. 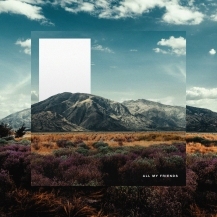 With eleven crafted instrumental tracks and a final cut with with vocals, All My Friends owes allegiances as much to indie pop as it does math rock. What’s really refreshing though, is the complexities are not overshadowed by, distortion drenched guitar riffage and a pummelling backbone. On the contrary the there’s a deftness in the music that is merely accentuated by the grittier, driving parts. So as I continue my recent forays into the complex, but compelling field of djenty, math rockyness, I can report all seems to be going well so far. 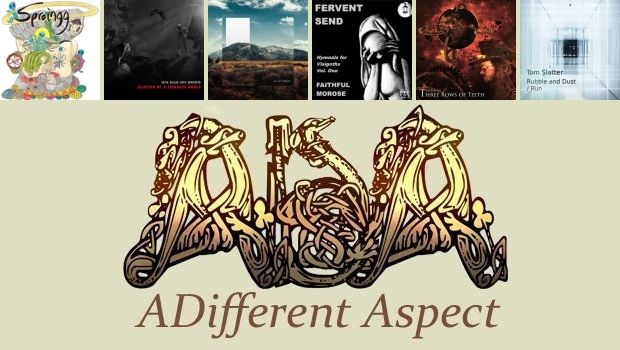 Not sure how representative Tide/Edit are, but if there’s more of this music in them there dark recesses, then things are looking distinctly brighter. 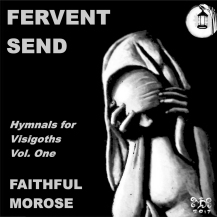 With a band name and an album title and cover like that, I would have laughed at least one of my socks off if this had been an EP of joyful throaway pop ditties. Predictably enough, it does exactly what it says on the tin, quite well, it has to be said. Dominated by the bass playing of band leader Jon Du Bose, the tracks while ploughing the furrowed brow of heavy doomy modern prog with a decidedly Crimsoid influence, emit a curiously 1980s Gothic air to these ageing lugholes. It’s a “Name Your Price” over at Bandcamp, so what have you to lose? Try it out. 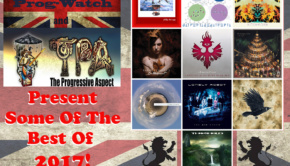 After catching the Progzilla Radio Gig last July, featuring Tom Slatter, Jack Arthurs and Andy Tillison, I set about picking my way through Tom’s recorded works. 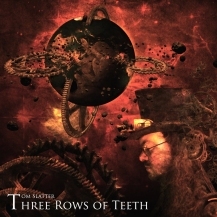 After doing so I felt compelled to write a few words, however as the TPA team had already feasted on the more recent releases – Tom’s Murder & Parliament side project, and his two previous outings Happy People and Fit The Forth, I opted for the 2016 updated version of Three Rows of Teeth. It’s an ambitious undertaking, especially if you consider that it’s all Tom. Full of whimsical delight, you’ve just got to admire any track called The Engine That Played Through Their Honeymoon. It’s definitely quirky but also a very engaging and refreshing look at the prog rock mould. There’s the “everything but the kitchen sink” opening title track, the twisted Self Made Man and an epic three part Time Traveller Suite. And… taken from that epic piece is Rise Another Leaf demonstrating a gentler side to Tom’s music. Great video to this delightful and touching track. Brilliant! 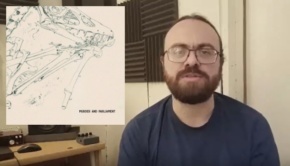 In between me starting to write the ADA review of Three Rows of Teeth and its publication, Tom has managed to record and release a new single. Just a shame we don’t review singles or I could have told you all about it, at the same time. Tom’s wry sense of humour and sometimes seemingly flippant persona, does quite often permeate into reviews of his music and perhaps detract from the seriously imaginative musician that lies behind this facade. This latest single, comprising of two tracks and just over ten minutes of music reaffirms this. 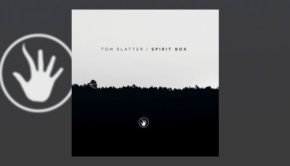 Like much of Tom’s music, it’s ‘offbeat’, not only in its metering, but also in that he just cannot resist pushing those harmonic boundaries here and there. Still, two instantly catchy songs, both full of melody and observant mischief. 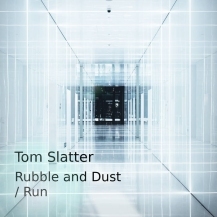 Rubble and Dust is slightly heavier than Tom’s normal oeuvre, whilst Run is a full on, reworked version of its humble acoustic beginnings. Hopefully these tracks may turn up on an album at some point, but until then the single is available with a “name your price” tag over at Bandcamp.